A few years back I was reading a biography of Groucho Marx. It said that the Marx Brothers performed at a theater in Benton Harbor, Michigan. I wonder if it could have been the Liberty Theater. My grandfather, Elwyn M. Simons was the manager of this theatre as well as the Caldwell. His wife was Mildred Simons. His son, my father Elwyn C. Simons did the art work for the newspaper ads. The roof collapsed before the city got around to restoring the Liberty. It has since been razed. This theater was gone by 2001 when I went with my camera searching for it. I spoke with a business owner in the area and she showed me pieces that they had salvaged from the demolition as well as the lot where it once stood. The Liberty Theater is a rectangular, two-story, flat-roof, brick commercial structure whose Sullivanesque front facade displays white terra cotta ornamentation of historical inspiration. The central portion of the facade projects forward slightly and its stepped parapet holds a central cartouche enframed by festoons above a main cornice with garland frieze that caps the second story. The second story contains five, square-head windows. Terra cotta medallions of identical design decorate the wall surfaces beside the windows and the parapet at either end of the festoon band. A lintel below the windows is supported on decorative consoles. The wall surface to either side of the facades projecting central area is treated as a panel. Each panel displays a centrally positioned ornamental cluster with cartouche and festoons, and, below, a medallion identical in design to those at second-story and parapet levels. The facades renovated street level has a Moderne treatment, including enamelled metal panels on the V-shaped marquee. The theater interior with its arched ceiling displays elaborate plaster work which is now deteriorated due to water infiltration. 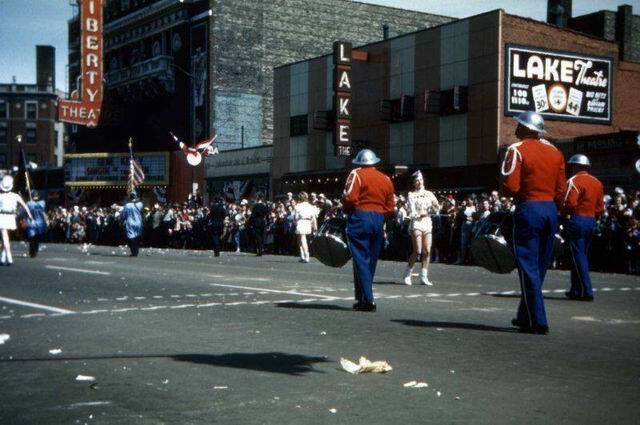 The Liberty Theater has historical significance as Benton Harbors largest movie palace and as the site of movie patronage for over fifty years. 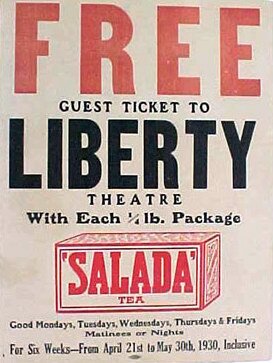 Completed in February 1922, the Liberty was constructed by the Blair McElroy and Kenneth Fitzpatrick theater syndicate. 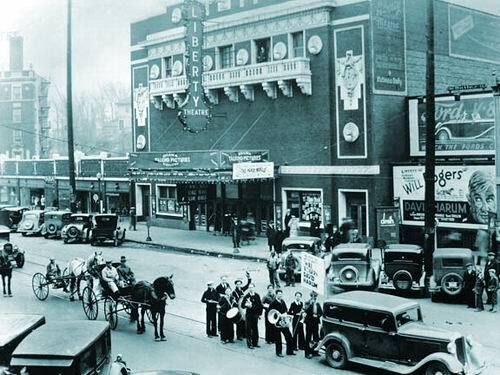 A little less than seven years later, the Liberty Theater, now owned by the Walter Scott Butterfield theater chain, hosted the first sound film viewed in Benton Harbor. 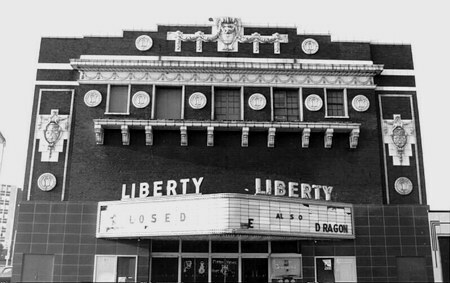 After over half a century of patronage, and with the opening of multi-screen theaters, the Liberty Theater closed in 1975. The city purchased the building in 1989. While the theater remains vacant, the city of Benton Harbor hopes historic designation will lead to financial assistance from the public and the private sector to restore and to rehabilitate the former movie palace.